Home / STORE / Wedding & Anniversary Nisse. / Year 14. Ivory. 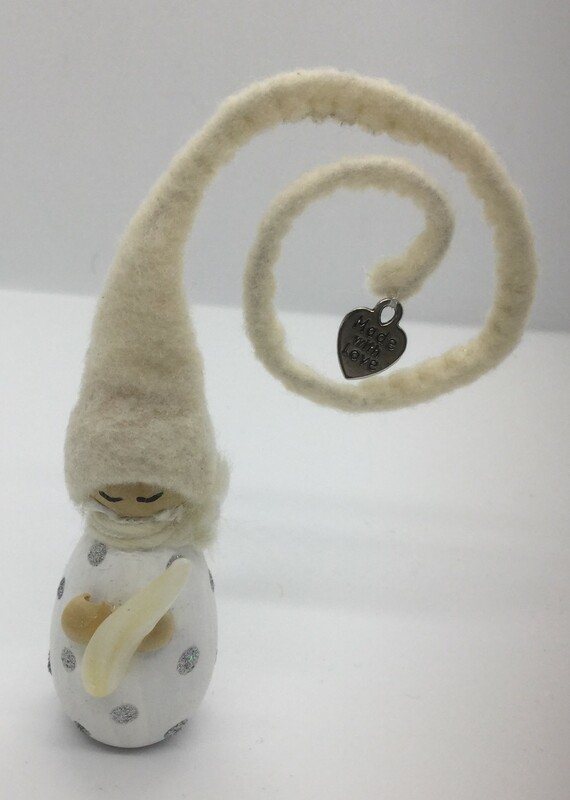 This is the fourteenth in a collection of adorable Nisse. They are wearing a white wool scarf and white felt curly hat decorated with a metal charm inscribed with ‘made with love’ at the tip. to represent the fourteenth year of married life.